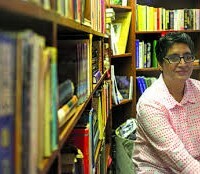 KARACHI: The Concerned Citizens for Peace (CCP) is holding a public gathering today (Saturday) at The Arts Council, Karachi, from 6pm to 9pm to commemorate the late Sabeen Mahmud, founder of PeaceNiche and T2F (The Second Floor), and to pay tribute to the other fallen heroes – journalists, workers, and activists – who have been silenced for standing up for justice and freedom of expression in Pakistan. Sabeen was murdered on April 24, 2015, as she was returning home after organising a discussion on human rights abuses in Balochistan. Her assassination was not the first of its kind, and it took place on a continuum of such developments in Pakistan, along with legal and policy measures that are poised to infringe on civil liberties, such as the action in aid of civil power, Pakistan Protection Act, setting up military courts, and now the proposed cybercrime bill. Speakers at the gathering will address key areas where freedom of speech and those who exercise this freedom are particularly at risk. There will be talks and recitations by writer and women’s rights activist Amar Sindhu, professor and educationist Dr Pervez Hoodbhoy, literary figure and activist FahmidaRiaz, journalist and digital rights activist Farieha Aziz, actor Fawad Khan, Human Rights Commission of Pakistan Director IA Rehman, Baloch rights activist Mir Mohammad Ali Talpur, bonded labour activist VeeruKohli, friend and mentor of Sabeen Mahmud ZaheerKidvai and journalist and novelist Mohammed Hanif. Sounds of Kolachi, a collaborative musical project, will perform resistance songs at the end of the event. Farieha Aziz, director of Bolo Bhi, has said that the proposed cybercrime bill will directly impact the freedom of expression of Pakistanis. Journalist and author Mohammed Hanif, who will be speaking at the event, recently highlighted the dangers for journalists in a video message recorded for the CCP. “A trend has started to silence voices that are unpopular in certain quarters,” Hanif said. “Some voices are bought into silence, some are given jobs to silence them; some are silenced by not giving them a platform. If you are a journalist in Balochistan or the tribal areas, your expected lifespan becomes half that of the average Pakistani’s. Dozens of our fellow journalists from these areas have either been killed, or have left journalism, or have been forced to leave the country.” However, Hanif said we must not think that with the silencing of Sabeen’s voice, the whole city of Karachi should go dumb with fear. “It is critical that we come together,” he said.